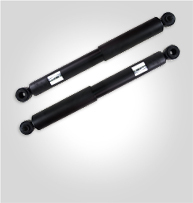 Simplest shock absorber for front and rear suspension systems. Generally replaced rather than repaired. These come in two types – completely sealed or repairable (McPherson). 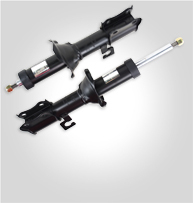 Repairable struts can be fitted with replacement cartridges. 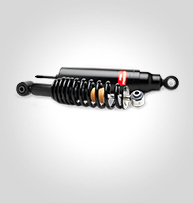 Characteristics of both telescopic and strut type shock absorber – it is a suspension unit & damping device in a single unit, but they cannot take side loads. They are sealed and therefore need to be fully replaced.